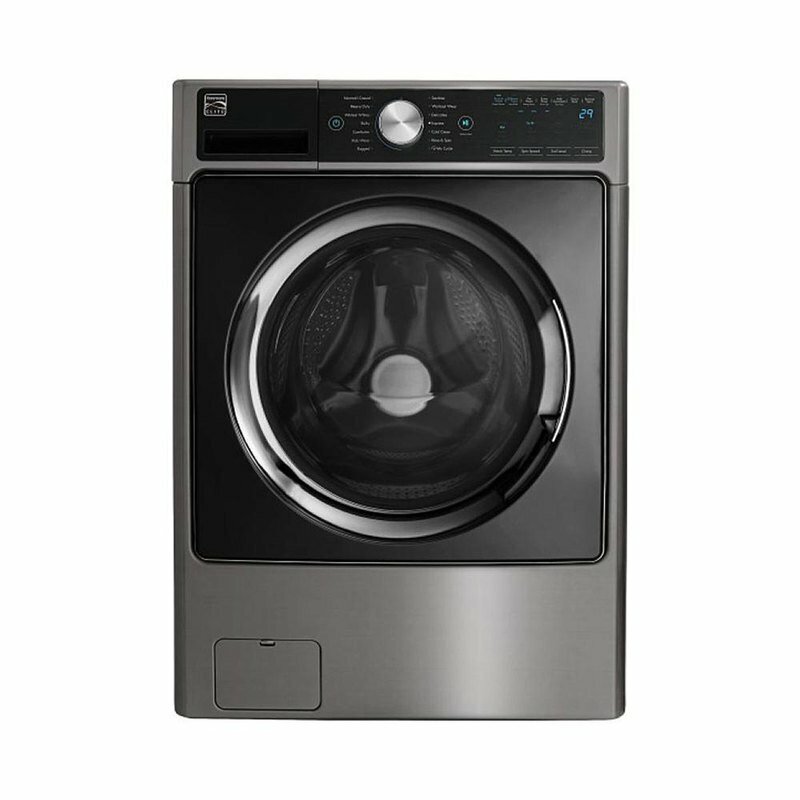 Take on Laundry Day: Whether you've got a load of towels, delicates or a little bit of everything, your next laundry day will go by in a flash with the Kenmore Elite 4.5 cu. ft. front-load washer. Big enough to take on multiple loads at once and careful enough to get all your stains out, that mountain of laundry won’t feel like such a challenge anymore. Features like Accela Wash® and Steam Treat let you quickly and gently finish laundry day on your own terms. You'll even be able to remotely start and stop your cycle, access more cycles, troubleshoot and more all from your phone or with Alexa, thanks to the Kenmore Smart app.